In today’s highly competitive marketplace, businesses recognize the importance of maintaining the efficiency of building operations, while also addressing the limitations to CAPEX funding. The challenge is seeking budget neutral solutions for facility optimization. An integral part of intelligent operatons management is sophisticated systems monitoring. When developers, owners, managers and tenants look for “intelligent” solutions, they look to Roth Southeast. Considered a pioneer in the field of Energy Management, Roth Southeast was part of the Roth Brothers network, which were the first to install Energy Management Systems in retail facilities. From the beginning, Roth Southeast has been recognized for excellence, setting industry standards for energy saving automation systems. Roth Southeast identifies the most cost-effective energy conservation measures best suited for your facility. 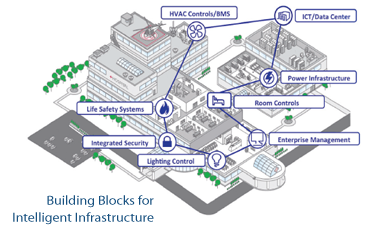 Then, easily integrates them into your existing or new Building Automation Systems, which maximizes your savings by preserving your installed base. Our approach is suited for both new construction and retrofit projects. We pride ourselves on our ingenuity and outstanding customer service and we look forward to addressing these needs in a collaborative manner.